This time last year, I dreamed that ARHtistic License would grow from 350+ to 600 subscribers. As of this writing (Wednesday afternoon), we’re almost there. If you haven’t yet joined our subscribers and you like what you see on ARHtistic License, please help us out by hitting the “Follow” button on the sidebar. Thanks, and welcome to our artistic community! My hope for 2019 is that ARHtistic License will pass the 1,000 follower mark. It would mean a lot to me if you’d help out by spreading the word, sharing your favorite articles on your social media. My Top Ten Posts of 2018 tabulated by number of views. Have you seen all of these? #DC350 Rimana Heart String—This post (and the next five) includes my entry to the Diva Challenge, a weekly Zentangle challenge. I don’t participate every week, but Zentangle devotees are a very generous group who encourage each other by visiting each other’s blogs, Instagram, Flicker, and Pinterest accounts. 12 Best Quilting Blogs—in my opinion. 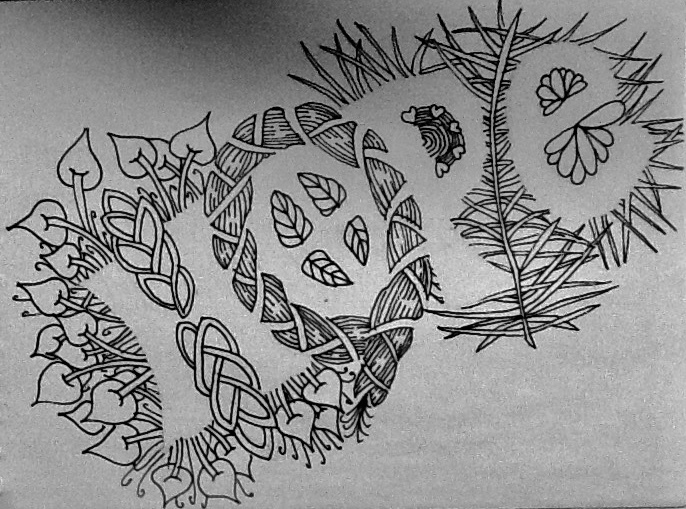 10 Best Zentangle Sites on the Web—again, in my opinion. I’ve stumbled across some more fabulous ones since I published this list; I’ll have to update it eventually. NaPoWriMo Day 21—My poem for Day 21 of National Poetry Writing Month (April) was featured on the challenge’s official website the next day, sending lots of traffic to ARHtistic License. The downside: it was not one of my better poems for the month. I much prefer this one or pretty much any other poem I posted that month. Hawaiian Quilting with Pat Gorelangton—I wanted to write about Hawaiian quilts and had the good fortune to find a website that featured Gorelangton. I contacted her and asked if I could write about her work, and she generously consented to be interviewed via email and sent me images of her quilts to use in the article. Not only did my article get lots of views from quilters and people interested in the art of Hawaiian quilts, but Gorelangton is beloved in Hawaii, and her fans found the article, too. But an article I wrote in 2016 got even more views this year than the Gorelangton interview. Jan van Eyck’s The Crucifixion and the Last Judgment: Painted by a Committee received 543 views in 2018 and 870 views since it was published. 2. Ballet Feet—what ballet dancers suffer for their art. 3. How to Practice the Piano: Doh! Dohnányi—If you’ve ever practiced these exercises, you know what I mean. 4. How to Make a Meme on a Mac—step by step instructions. 5. Yarn and Beads—about the art of the Huichol people of Mexico. 6. Escaping the Khmer Rouge: Review of Beautiful Hero by Jennifer H. Lau—This autobiographical book has won 5 awards. 7. Happy Anniversary!—wherein I celebrate the first three months of the existence of my blog. 8. Phoenix Art Museum—what my daughter Katie and I saw on a Mother’s Day excursion. 1. 12 Worst Blogging Mistakes. 808 views. 2. For Bloggers: How to Post Every Day. 543 views. 3. 20 Tools Every Writer Needs. 478 views. 4. 21 Inspirational Quotes for Writers. 416 views. As I review my creative goals for 2018, I see that I didn’t completely achieve them, but I did make general progress. I did a run-through of my God of Paradox manuscript with my bible study group, got some excellent feedback, and discovered some real problems that needed to be corrected. I’m almost finished with the rewrite. I’m going to see if my pastor or someone with a theology degree will read through it for me, then I’ll maybe do another rewrite if necessary, or a quick polishing, and start submitting in 2019. The Unicornologist has been on the back burner, but never far from my thoughts. I’m hoping to solve all my plot problems and do a thorough final rewrite, then seek representation in 2019. I’ve really stalled on recorder and guitar, hardly practicing at all in the last six months. 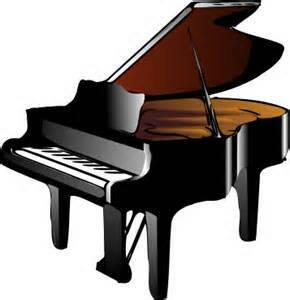 I’ve been more faithful about piano. I’ve written some poetry; if I can write and rewrite enough poems in the next couple of weeks, I might enter another chapbook in a contest. I’ve made some artwork, illustrations and Zentangle. Here’s my New Year’s wish for you. Patterns used: poke leaf, fescu, chainlea, leaflet variation, brayd, herzlbee, cuke variation, verdigogh. I had a hip replacement in July. For eight months before the surgery I suffered enough pain that I could not dance. (Heck, I could barely walk.) I am happy to say I am dancing once again and helping to teach dances in my international folk dance group. Now it’s your turn. Tell me what you’d like to see more of on ARHtistic License. What art- and creativity-related topics would you like me to cover? Which artists, musicians, and composers would you like profiled? Which of my articles and features do you like best? Please share in the comments below. And don’t forget to subscribe to ARHtistic License, to hit the “Like” button below, and to share your favorite article (find links to my most popular articles above) on all your social media. Thank you, and have a happy New Year! Ending the year with lots of creative ideas. Listen to these pipers rock out. I’ve read a bunch of these inspirational books, and I’d give some them mixed reviews. However, there are enough good ones here that I’m comfortable sharing the list. I am a little sad that this house no longer exists. Art installations that make you think. These photographs remind me of winter in New Jersey—everything is shades of gray. Though lovely to look at, I prefer winter in Arizona, where I currently see lots of green. Drawing on envelopes and stuff. Gisele Bündchen and James Corden take a dance class together. Now that Christmas is over, here’s how you could have decorated your home or office. It’s time to set some goals. Want us to keep you accountable? Feel free to share your 2019 goals in the comments below. Even if you spent most of high school English class staring out the window or at the clock, you’ve probably heard of haiku. And quatrains. And sonnets. Of course, the sonnets. But there’s more to poetry than free verse and couplets. In fact, there are almost as many forms of poetry as there are actual poems! How many of the poetry terms on this list have you heard of? Leave a note in our comments section. Want to learn more about obscure poetry forms? Visit this fantastic website curated by The Poetry Foundation.